Situated in Duderstadt, this luxury hotel is within 20 mi (32 km) of Unicorn Cave Prehistoric Burial Site, St John's Church, and Georg-August University of Goettingen. Ganseliesel and Hainberg Observatorium are also within 20 mi (32 km). Situated in Duderstadt, this spa guesthouse is within 20 mi (32 km) of Unicorn Cave Prehistoric Burial Site, Walkenried Abbey, and Old Town Hall. 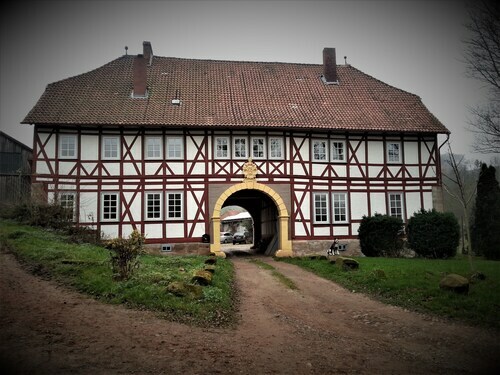 Osterode Old Castle and South Harz Nature Park are also within 25 mi (40 km). How Much is a Hotel Room in Duderstadt? 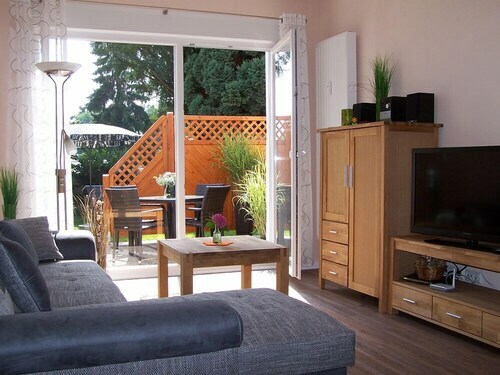 Hotels in Duderstadt start at $141 per night. Prices and availability subject to change. Additional terms may apply. Those who want to make memories in Duderstadt are advised to consider booking a comfortable place to stay sooner rather than later, as they won't find an extensive selection of lodging options in close proximity to the town center. When you plan to stay within a 3 miles (5 kilometers) distance from the middle of Duderstadt, the Victor's Residenz Hotel Teistungenburg is a great place to check out. The Hotel Freigeist Northeim is approximately 16 miles (26 kilometers) outside the middle of Duderstadt. An alternative place to stay is the Hotel Riemann, which is about 12 miles (20 kilometers) away. Alternatively, you may like to investigate the Hotel & Restaurant Zum Röddenberg or the Best Western Plus Hotel Am Vitalpark. While you are here in Duderstadt, take a trip and check out some of Lower Saxony - Bremen's other attractions. Lower Saxony - Bremen boasts beaches and coastal plains. The most popular visitor destinations include old towns. In this region of Germany travelers might also partake in snowboarding and skiing. Looking for activities? You could spend the day enjoying Tanzwerder Island and St. Blasius Church, which can be found in Hann. Muenden, 25 miles (40 kilometers) to the west of Duderstadt. The Alter Packhof and Flux - Biohotel im Werratal are just some of the great hotel and apartment options in Hann. Muenden. 50 miles (84 kilometers) to the northwest of Duderstadt, you can find Bad Pyrmont, which boasts the Steigenberger Hotel and Spa and ClassicFlairHotel Bad Pyrmont. Whether you're just passing through or staying in Bad Pyrmont, make your way to the Bad Pyrmont Castle and Friedrichsquelle. If cheering on sport is on your list of things to do in Duderstadt, take the time to visit TUI Arena, which you can find 60 miles (94 kilometers) to the north of Duderstadt. Enlightened travelers who would like the ease of booking a room nearby, book in the ABT Apartments - Hannover or Arcadia Hotel Hannover. For travelers flying through Erfurt Airport, you might want to book a room at Airport Hotel Erfurt, or Hotel & Restaurant Park-Cafe ISA, which are both close by.